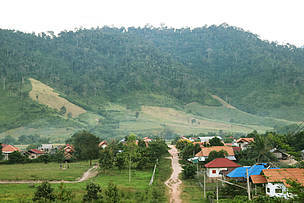 WWF has been present in Laos since the late 1980s, with the official establishment of the country office taking place in 2001. Our three main strategies are: Landscape Planning & Management, Wildlife & Protected Areas, and Responsible Investments, Production & Consumption. Our key target provinces are: Xayabouly, Bolikhamxay, Khammouan, Savannakhet, Champasak, Salavan, Xekong, and Attapeu. And our vision by 2030 is that the human footprint in Laos stays within the country’s capacity to maintain the full spectrum of biological diversity and ecosystems. The Annamite Mountains separating Laos and Vietnam cover almost 23 million hectares and have one of the greatest concentrations of endemic species in a continental setting. In southern Laos, the Mekong River provides the highest amount of fish consumed in the country, and is an area of unique aquatic diversity. 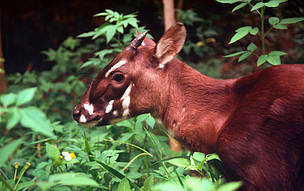 Within Laos’ borders, WWF Priority Species include the Asian elephant, Eld’s deer, Mekong River Irrawaddy dolphin, Mekong giant catfish, Mekong giant stingray, the elusive saola, and other ungulate species. 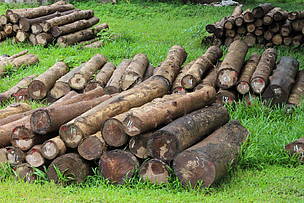 Despite this great variety of life, Laos’ biodiversity faces numerous threats. 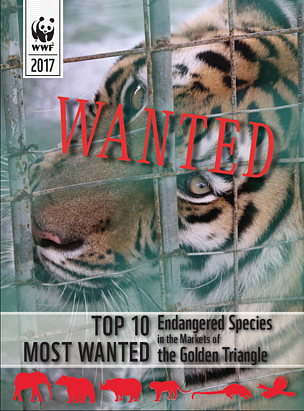 Increasing wildlife crime, infrastructure projects, and rapid habitat loss pose real and present risks to the integrity of special ecosystems and the species that inhabit them. 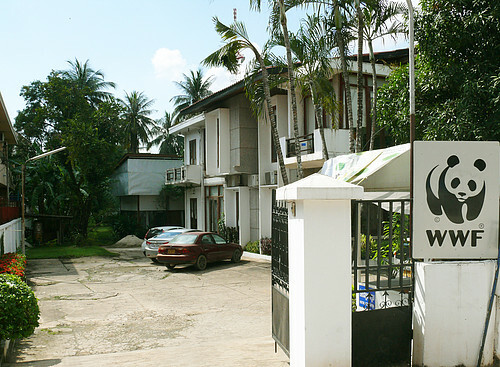 While WWF has been present in Laos since the late 1980s, the official establishment of the WWF-Laos Country Office took place in 2001. From our head office in Vientiane capital and the Southern Provinces Coordination Office is in Champassak province. We have over 40 passionate and determined staff working on a broad range of issues including species protection, protected area management, forest governance, freshwater conservation and natural resource management with the overall goal of building a future in which the people of Laos live in harmony with nature. 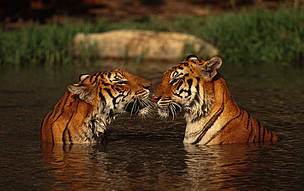 To do this, WWF uses the best available scientific information to find solutions to today’s pressing conservation issues. We seek dialogue by building relationships with government, other conservation-focused organisations, industries and communities to deliver our goals. In its strategic plan, WWF-Laos will focus on protecting forest, freshwater and wildlife, which will not only be a critical contribution to WWF’s global conservation goals, but also helps reduce poverty through sustainable natural resource management. An essential part of this strategy is the ‘landscape approach’ to conservation. This approach seeks to reconcile conservation and development through interventions in different components of the landscape, some of which focus on livelihoods and development goals and others on the natural environment. WWF has identified two priority landscapes on which it will focus: The Central Annamites Landscape (shared with WWF-Vietnam), and the Mekong Flooded Forests Landscape (shared with WWF-Cambodia). In the northwest of the country, Nam Poui Priority Site encompasses one of the most significant National Biodiversity Conservation Areas in the country, a place of critical importance for conservation of the Asian elephant. The Central Laos Priority Site, where rattan Forest Stewardship Council (FSC) certification and Community Fisheries have been successfully piloted. The Savannakhet Priority Site is home to the endangered Eld’s deer and is located within the lower Mekong dry forests, where spatial land use planning and participatory conservation approaches have been introduced. House No. 39, Unit 5, Chanthabouly District, Vientiane Capital, Lao PDR.